Chris Lyons misfired several bullets in Event 15, and was eliminated during Level 1 when an opponent cracked his pocket kings with pocket jacks, but in the end he was the last man standing, collecting $31,654 and the trophy for his efforts. 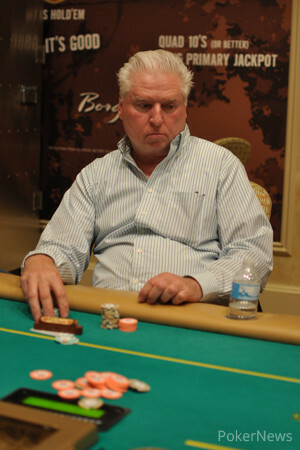 Lyons started the final table in the middle of the pack before ascending the chip counts during six-handed play. From that point forward he eliminated every player from the final table - Martin Weinfeld in sixth place; John Johnston in fifth place; Satish Surapaneni in fourth place; and Steve Raimie and Thomas Coan in third and second place respectively. This is the largest score of Lyons' live tournament career, and afterwards all he could say is how tired he was from the 19-hour grind. Despite falling in fourth place, this was Surapaneni's second final table this week. He finished third in Event 13: $300 Deeper-Stack NLHE for $5,798, and he now has over $40,000 in career live tournament earnings. This was the second-largest cash of his career - he took third in a $200 big stack event here at Borgata in January, earning $15,551. Event 15 attracted a total of 504 entries, generating a total prize pool of $127,108. Each of the top 54 players walked away with at least $508, and among the notable min-cashers were Nancy Martin, Iverson Snuffer, Michael Sneideman, Jesse Cohen, Armando Then, and Stephanie Johnston. 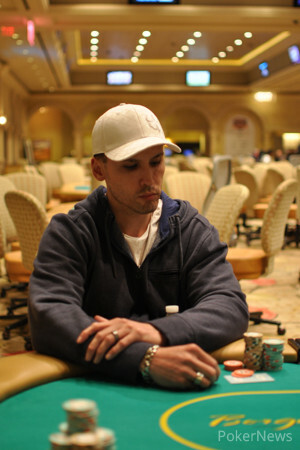 Several players fell just shy of earning any money, including Tommy Vedes, Phil Neiman, Jimmy Lillis, and Paul Spitzberg. Be sure to return later today for continuous coverage of the WPT World Championship, along with the start of Event 16 right here on PokerNews! All of the money went in preflop between all three players, and Chris Lyons had both players severely out-chipped, but none of the hands were exposed until the board was completed . That's when Lyons revealed for a rivered pair of kings, and both of his opponents mucked. 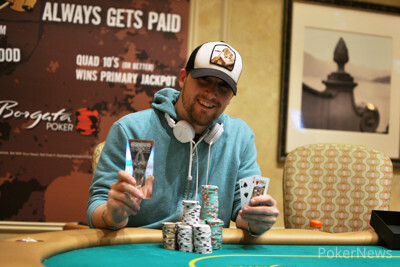 Because Thomas Coan began the hand with more chips, he was awarded the second-place prize of $17,795. Chris Lyons was first to act, and raised to what looked like 450,000. 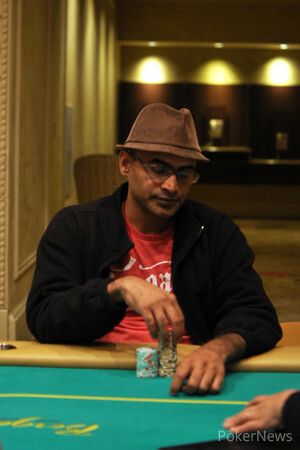 Satish Surapaneni moved all in for around 2.5 million on the button, and both players in the blinds folded. Lyons snap-called. The kings held up on a board of , and Surapaneni was eliminated. The players are on a short break. John Johnston found himself all in and at risk for his last 600,000 or so with , and unfortunately for him he was dominated by Chris Lyons' . The flop, turn, and river came , and Johnston was eliminated. Steve Raimie open-shoved for 1.08 million in the cutoff, and John Johnston tank-called in the big blind. The board came , and Raimie doubled up. The very next hand, Chris Lyons raised to 275,000 in the cutoff, Satish Surapaneni moved all in for 1.07 million on the button, and John Johnston moved all in for 1.695 million in the small blind. Lyons folded. Surapani had a foot out of the door after the flop, and his second one was following after the fell on the turn, but the on the river saved his tournament life. After getting a preflop shove through, Thomas Coan open-shoved once again, this time for 1.39 million. Steve Raimie snap-called on his direct left, and the rest of the players folded. The flop was clean, as was the on the turn, but the spiked on the river to give Coan a winning pair of queens. He doubled to over three million chips, while Raimie fell to 1.1 million.